By failing to challenge many of Official Washington’s “group thinks” on the war policy, President Obama has become captive to them as reflected in his decision to extend the U.S. military operation in Afghanistan despite little or no prospect of success, as ex-CIA analyst Paul R. Pillar explains. It probably was inevitable, as a matter of how Washington as a whole approaches such things these days, that President Barack Obama would make his decision about keeping 5,500 troops in Afghanistan into 2017. There is too much of an expectation that when internal violence prevails in a country in which the United States has had as much past involvement as it has had in Afghanistan, the United States should have its military forces on the scene to try to do something about it, no matter how dim are the prospects for accomplishing much there. Things have not always been so. It is a departure for the United States to make a habit out of indefinitely stationing significant numbers of its military personnel amid other people’s internal strife. This is not entirely a recent phenomenon; the United States did similar things, for example, in Nicaragua during the first third of the Twentieth Century and later on a much larger scale in Vietnam. But those instances are rightly regarded as failures, they did not have the makings of a habit, and they were not associated with the sort of political expectations about such things that are as persistent and widespread as those that prevail today. Perhaps the record of long-term stationing of U.S. forces since World War II in such allied countries as Germany and South Korea has obscured how much of a departure are the sorts of long-term deployments we see today in the Middle East and South Asia. But that earlier stationing of forces was mostly about deterring external aggression, which is a very different business from doing something about internal disorder. In the former, if nothing happens over a long time while U.S. forces are overseas, that might be a mark of success; in the latter, if the status quo, which is a violent status quo, persists, that is definitely a failure. The costs of stationing forces in allied countries for deterrence purposes are mostly limited to direct monetary costs, except for occasional blips such as local resistance to the Marine base on Okinawa. Inserting forces into internal conflicts, however, entails an assortment of consequences that make for greater and broader costs and risks to the United States and that can make the whole undertaking counterproductive. Those consequences, besides the obvious one of U.S. casualties, include the ill will that time and again in such situations has been incurred by destructive effects, however inadvertent or unintended, of the use of U.S. military force in internal conflicts. They include extremist and terrorist responses stimulated by such ill will. And they include the moral hazard involved in the United States carrying burdens that will have to be borne by locals if a local conflict is ever to be settled. 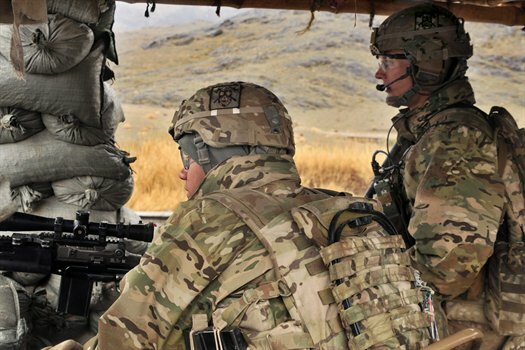 However logical the decision about retaining U.S. troops in Afghanistan may seem, and in a tactical sense may be, the decision leaves unanswered some important questions of a longer-term and more strategic nature. One is: if the United States has been unable to achieve its goals in Afghanistan with 14 years of direct military involvement, why should one think that additional time there will bring about any different result? A related question is: how much longer will it take to achieve whatever we are trying to achieve? The President said, “I do not support the idea of endless war.” But we are left to wonder what to make of the comment by his Secretary of Defense, “Is it going to be 5,500 forever? I mean, there I can only say this, that is our best estimate now of what we should plan for and are planning for and budgeting for for 2017.” Secretary Ashton Carter has acknowledged but failed to answer an important question. Yet another strategic question is how Afghanistan figures into the larger picture of U.S. interests and grand strategy. Yes, there has been a lot of violence and instability there lately, but how exactly does that relate to U.S. interests, and interests important enough to warrant incurring the costs of an indefinite U.S. troop presence there? The intervention in Afghanistan in 2001 was a direct response to a major terrorist attack against the United States, and counterterrorism is usually invoked as the main rationale for still being there. But that invocation ignores the large differences between Al Qaeda’s situation in Afghanistan prior to 9/11 and what exists there now, the lack of any uniqueness of Afghanistan as a haven for terrorists, and the fact that havens in faraway places are not one of the more important determinants of terrorist threats to the United States. The transition from a retaliatory counterterrorist operation to a nation-building expedition in Afghanistan has never really been explained and justified. Much of the instant analysis about President Obama’s new decision on troops in Afghanistan has been making reference to one of the more dangerous and misleading notions lingering from the Iraq War, which is that the ending of that U.S. military expedition in 2011 was somehow responsible for messes in Iraq that followed, that the messes would have been prevented by extending the U.S. military presence in Iraq, and that Mr. Obama in effect acknowledged a mistake by later reinserting some U.S. troops there. This theme has long been pushed by political opponents of Mr. Obama and by many of those, an overlapping group, still trying to work off their cognitive dissonance for having promoted the launching of the Iraq War, but the theme has appeared in mainstream media in ways that come close to treating it as an accepted conclusion rather than just an accusation. The Obama administration is correct in noting the important differences between Iraq then and Afghanistan now, with the Iraqi government being determined then that the U.S. military presence should end and the Obama administration implementing a withdrawal schedule that its predecessor had already negotiated. But some similarities between the two situations are also important. The same question about the 14 years of involvement in Afghanistan can be asked about the 8 ½ years of military involvement in Iraq. The expedition in Iraq reached a peak of about 166,000 U.S. troops, substantially more than ever were in Afghanistan. If that level and duration of a U.S. expeditionary force were not sufficient to accomplish whatever the United States was supposed to accomplish in Iraq, why should we believe that the much smaller levels of a continuing force that were being talked about in 2011 would have been more likely to accomplish it? The vaunted “surge” in Iraq demonstrably failed in its objective of enabling the contending political forces in Iraq to reach an accommodation. That is why, although a force as large and powerful as the U.S. force was then will naturally be able to put a temporary clamp on violence and disorder, the effect was not destined to last. The surge enabled the Bush administration to shove the demons of Iraq far enough into the closet to be able to slam the door and keep it shut just long enough to hand over the problem to its successor. President Obama is now being accused, with some validity, although at lower cost to American lives and resources, of doing something similar with Afghanistan. Mr. Obama no doubt is sincere when he says he does not support endless war. He is bowing to the kind of thinking that is keeping U.S. troops in Afghanistan indefinitely rather than being a promoter of such thinking. But the United States has already been sliding into endless war, and this sort of thinking, including especially the myth of a missed victory opportunity in Iraq, has been greasing the slope. The business of America is business, and the US Chamber of Commerce together with its foreign affiliates American Chambers, will always help expand the US economic empire. The U.S. Chamber of Commerce (Eurasia Business Platform) held a marquee conference, “Silk Road Trade and Investment: New Pathways for U.S.-Central Asia Economic Ties” on October 7-8, 2009. This event brought together Ministers, corporate decision makers and experts from the public and private sectors to discuss the opportunities and challenges of the rapidly emerging market nestled strategically between Europe, China, Russia, South Asia, Turkey and the Middle East. The US Senate has had a continuing interest in the “Silk Road” countries of Armenia, Azerbaijan, Georgia, Kazakhstan, Kyrgyzstan, Tajikistan, Turkmenistan and Uzbekistan and Afghansiatn is a key factor..
“S. 2749 IN THE SENATE OF THE UNITED STATES *May 4, 2006 A BILL To update the Silk Road Strategy Act of 1999 to modify targeting of assistance in order to support the economic and political independence of the countries of Central Asia and the South Caucasus in recognition of political and economic changes in these regions since enactment of the original legislation. “Think of Afghanistan, then, as an overlooked subplot in the ongoing Liquid War. After all, an overarching goal of U.S. foreign policy since President Richard Nixon’s era in the early 1970s has been to split Russia and China. The leadership of the SCO has been focused on this since the U.S. Congress passed the Silk Road Strategy Act five days before beginning the bombing of Serbia in March 1999. That act clearly identified American geo-strategic interests from the Black Sea to western China with building a mosaic of American protectorates in Central Asia and militarizing the Eurasian energy corridor. That’s the strategic reason that keeps the US in Afghanistan. You already made this comment. Whenever I do any major planning, I ask myself a couple of things. First of all, I ask whether there is anything meaningful that I hope to accomplish through my course of action. Second of all, I ask if I’m not doing anything unintentionally stupid by attempting it. I realize that complex situations can cause intricacies to grow to the point that they trivialize any single person’s input, but nevertheless it makes me question whether everyone holds themselves to the same standards. The US’s long-term strategy in the region as been the ultimate control of the petroleum in the region, with our ally the House of Saud. It’s not coincidental that Karzai was an oil exec with CIA connections before he was made the President of Afghanistan after the invasion. And where is the biggest pool of oil and natural gas? North of Afghanistan, in Russia and the former USSR. Back in the 90s Unocal and Brzeszinki (pardon the spelling) had great plans to run a pipeline from Turkmenistan through Afghanistan and Pakistan to India, where the natural gas would fuel the factories where US corporations were sending American jobs. Unfortunately, the US had the hubris to believe that the American empire would not die where so many other empires died. When the Taliban reneged on the pipeline deal three months later “coincidentally” a Saudi living in a cave in Afghanistan and his followers destroyed some office buildings in Manhattan and the rest is history. If readers understand oil, pipelines and Salafism all mysteries of our foreign policy are revealed. The US supports the fascists in Ukraine because Russian gas lines run across the country to Europe, and the US wants Europe to be dependent on the gas of its corporations and the corporations of its allies. Libya? Take oil and gas out of Khadafy’s control and eventually put it under our control. Syria? While not much of an oil producer, there have been plans since 2011 (about the time of the beginning of Syria’s civil war) to run a Shiite pipeline from Iran, through Iraq and Syria to the Mediterranean where yet another stream of gas and oil would run to Southern Europe. That would be in direct competition with the Sunni House of Saud and their allies in the Gulf States. Anyone remember when the Kuwaiti royal family returned from their unfortunate vacation in Gstaad for the victory parade? Now they’re helping to finance ISIS. We don’t need a conspiracy theorist like yourself. Al-Qaeda had been launching terrorist attacks against the West starting in 1998. Also, the fact that you refer to the World Trade Centre as “some office buildings” in that tone is offensive. First of all Rikhard, Mr Pillar wrote a very good article. Having been to Germany and Korea for over 25 years I have wondered a lot about the military presence by the US. But let me defend Bob here for a second. Just because his use of language offends you doesn’t mean he doesn’t have a point. If you followed the trail of energy dependence/independence over the course of the last 100 years you may develop an opinion too, and maybe even an informed opinion. The word ‘conspiracy’ is thrown around like the uneducated versions of ‘liberal’ and ‘conservative’. Have you even read anything related to the US? Take simply the CIA for example…. was the supposed ‘exploding cigar’ to kill Castro a conspiracy or an example of an attempt on someones life? If someone plans a deed to kill, is it a conspiracy or simply a plan? The docs released concerning the NSA weren’t simply about phone tapping. They were about a very complex plan to tap into the fiber optics of our country and other countries to get data unrelated to terror. Why did they go after the Brazilian gas company Rikhard? There were terrorists in the gas company of Brazil? I think you have to do some more reading before you simply use undefined words like conspiracy. Of course there are conspiracies all over our world and in every country and especially the people with the big bucks. We need all opinions Rikhard, even your uneducated ones.